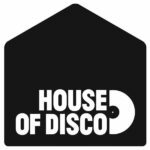 We’re happy to announce that we’ve just uploaded some extended samples of the 5 track EP from Ron Basejam coming out soon on House of Disco! This one has been a long time in the making and is Ron’s first solo ep of originals since 2011. We think you will enjoy this.